I spent two seasons as a student-assistant basketball coach at Michigan State University from 1999-2001 under Tom Izzo (while pursuing my undergraduate degree as a non-traditional student). 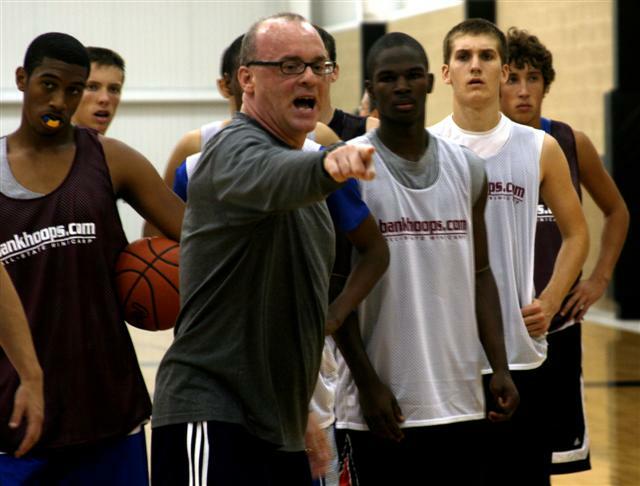 I learned so much about the game of basketball as well as what it takes to be a success in the coaching profession. 1-Work Ethic: Nothing positive gets accomplished without it. Spartan players are expected to punch the clock as well as the coaching staff, team managers, and staff personnel. I’ve seen coaches in the office as early as 6:30 AM and as late as 3:00 AM. I’ve seen players in the practice facility as late as 1:00 AM working on their game. You need to have a worker’s mentality if you wish to achieve any success representing the Green and White. 2-Accountability: Everyone has to carry their own weight. No one can hide. No weak links. Best example was video coordinator and managers always had the hotel ballroom set up for watching film on the road. It looked like Dr. Frankenstein’s lab. Plus, not to mention the amount of tapes on the opponent available to view. Scouting reports had to be studied and memorized. Even strength and conditioning coach Mike Vorkapich gets after it to have the Spartans ready to take on the demands of a long season. 3-Passion: You have to bring it every day, every night. There is no down time during the season. You come to work and you give all you have. 100% effort, nothing less was acceptable. Spartan basketball players are expected to ‘leave it all on the court’. 4-Communication: Everyone talks. Everyone cheers. Everyone inspires and encourages. “Every day you should think about and talk about how the practice went.” Izzo once said in a meeting. I’ll never forget those words. At basketball practice everyone is lifting each other up. I’ve never seen so much chatter at one practice. It’s electric and alive. 5-Recruiting: Have to be relentless. You’re recruiting non-stop (rules change all the time though so know the rules). Writing letters, phone calls, evaluations, on-campus visits…always have to be working. Tom Crean once said, “when you feel like taking a nap, write another recruiting letter.” Potential recruits are invited to football games in the Fall enabling the coaching staff a chance to spend time with recruits. It’s vital you learn about a kid off the court. 6-Relationships: At Michigan State you build and nurture relationships. Every day you can meet someone new. You build friendships that last forever. Coach Izzo is big on this with their summer camp. Coaches meeting coaches. Campers meeting campers, etc. Working camp in the summer gave me an opportunity to meet some great basketball people; to this day, 10 years later I still have contact with them. This past season I spent some time at practice during Spring break and Travis Walton, a former Spartan whom I had never met before just walked up to me and introduced himself. That says a lot about a young man when they approach you in a friendly manner. 7-Rebound the Ball: If there’s one ‘on-court’ trait that sticks out in my mind about Michigan State it’s rebounding; the Spartans pride themselves on crashing the boards and pursuing the ball. Everyone hits the glass. Everyone rebounds. You learn to battle at MSU. You never relax. Izzo is famous for his “war drill”. It’s all out, no holds barred. I once saw two players go at each other 4 straight possessions and rip each other’s jersey and draw blood. Bottom line is you have to possess a warrior’s mentality to play at Michigan State. 8-Character: Izzo looks for guys with character, not characters. 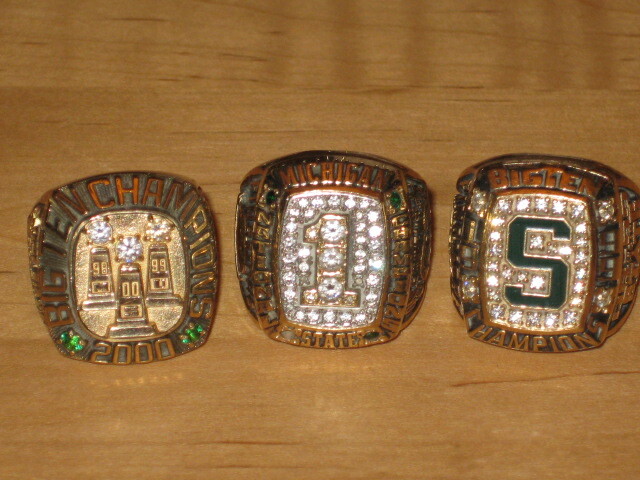 You come to Michigan State to improve your game and to graduate. You attend class and you give all you have in practice. You don’t bring attention to yourself. It’s about the team, not you. You arrive in East Lansing as a boy, you leave a man. 9-Integrity: Have you ever read about Michigan State basketball being investigated by the NCAA? No. You do things the right way in East Lansing. 10-Opportunity: Izzo gave this coach a golden opportunity to become a better person and a better coach. Sure there were obstacles and bumps along the way. Now, when I experience a tough situation, I look back on the time spent in East Lansing and always utilize what I learned while at Michigan State to get me through. Players and coaches that arrive in East Lansing get an opportunity to help sustain a great tradition. Winning games the right way and going to the Final Four (6 in the past 12 years); not to mention a chance to prolong their careers whether in the NBA or playing professional basketball over seas (or an assistant coach getting a head coaching job) It’s not only players and coaches who are given the opportunity at MSU but managers make the most of their time under Izzo too. Six former support staff members from MSU currently hold positions with NBA teams. At Michigan State under Tom Izzo you are expected to play hard, take care of the little things, treat people with respect and do things the right way. “Coach Izzo taught me the fundamentals of the game so that I could become a better player. When he recruited me, he promised me a chance to play in a championship game to become an all-american. Because of him, my dreams became a reality.” -Jason Richardson, former MSU Spartan currently a member of the Phoenix Suns. I began my coaching career when I was 16 years old. The local parish in Brooklyn, New York where I was born and raised put me in charge of the 7th grade boys basketball team. I had a blast. A couple of years later I became the head coach of the boys freshmen basketball team at Bishop Ford High School. Again, I had a blast. Our first year we didn’t win a single game. While coaching high school basketball I was working full-time as an Ironworker making good money. During basketball season I’d knock off work, hop on the train to school and change into my sweats. I was single, had my own place and didn’t have a care in the world. It was right there I was looking for a new career. A decision was made. I fell in love with a wonderful woman who later became my wife and we moved to Michigan in 1996; I discovered my life’s calling…coaching basketball. Following the move from New York to Michigan, while attending Michigan State University as a non-traditional student, I was introduced to Tom Crean who at the time was an assistant coach under Tom Izzo. Crean and Izzo allowed me to observe practice the first year. The following year I signed on as a student-assistant coach. I had a great time while learning so much about the craft. (My original goal was to get my degree and go back to coaching high school basketball) I thought I knew everything about basketball until I me Tom Izzo. I never imagined in my wildest dreams what hard work was until I saw Izzo in action every single day. And I thought Ironworkers put in a hard day on the high iron! After some academic and financial difficulties, I transferred to Central Michigan University. I was thrown out of Michigan State. The work ethic I learned from MSU’s coaching staff helped me through the next two years of school which saw me travel 120 miles a day, three times per week for 5 straight semesters. Each morning I wake up I wonder where this profession will take me? I ask myself “where do I want to be in five years” ? Oftentimes I’m asked about the coaching profession from younger guys. I’m asked how to get in, how to move up and of course, why do I coach? The answers are not as simple as you think. There’s no secret to moving up the ladder. Sure we all aspire to be a head coach, some want to go to the highest level, some are content at the high school level. I will tell you this, there is a HUGE difference in being the guy in charge and the assistant coach. Have a passion for teaching and recruiting: If you don’t like teaching, you will not be any good. No make that, if you don’t love teaching, you will not make it. You need to know how to teach a skill. If you don’t like hoping in your car, driving two hours, watching a kid play then driving back, this job is not for you. Strong Work Ethic: You need to do everything that needs to be done for the program from A to Z. Working players out, recruiting, practice/game preparation, etc. There’s more to coaching than drawing up plays. Being organized each day helps. Do what others will not do. Look for things to do. Always be busy when you are at work. Self-Esteem: You will not get many pats on the back. You will not be told how good of a job you are doing as much as you’d like. Learn to feel good about yourself throughout the journey. Loyalty: Whomever you work for, be loyal. Never bad mouth them, no matter how much you disagree with them. Never be jealous nor be envious of others. Help staff members get things done. Don’t care who gets credit. Build Relationships: 50% of coaching at the college level is relationships. It’s the most important way to have a chance of getting hired. It’s the way you get players when you recruit. It’s the way you get along with others within the program/school. Managers, office personnel, and of course school administration.